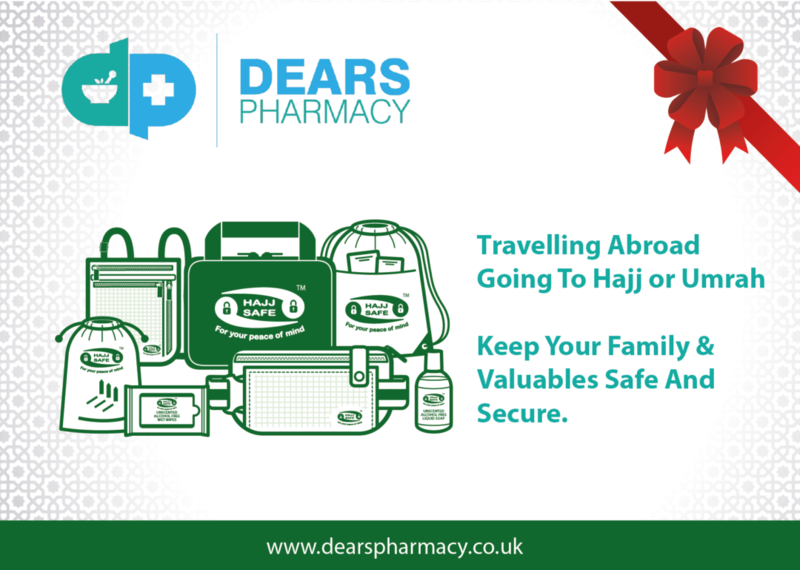 Hajj Safe is a range of dedicated products to provide pilgrims with products and advice that will keep you and your belongings safe and secure while you are on your pilgrimage to Hajj and Umrah. A range of bags and belts to carry your belongings. As part of our Hajj & Umrah Service following your vaccinations required as part of your pilgrimage you will be given a leaflet of vouchers/ coupons. 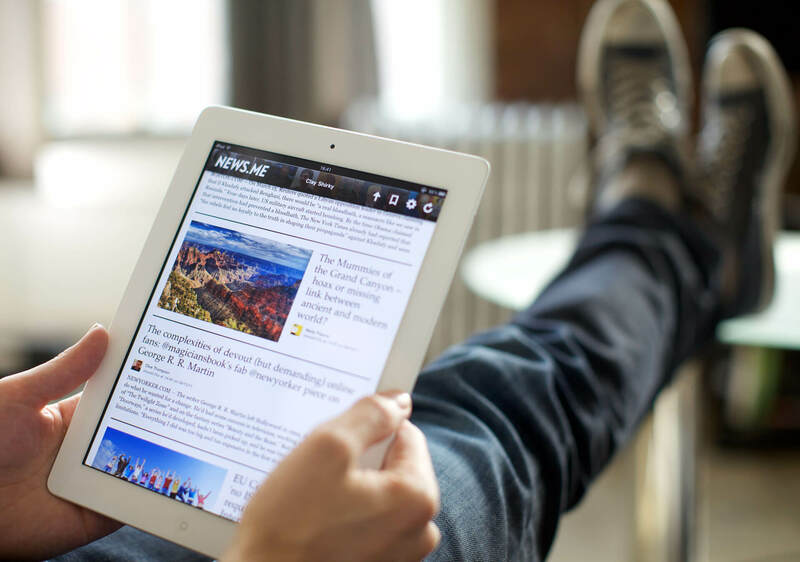 This will allow you to purchase the items with the vouchers at a discounted price. This also includes a map detailing the steps on your pilgrimage and additional advice. 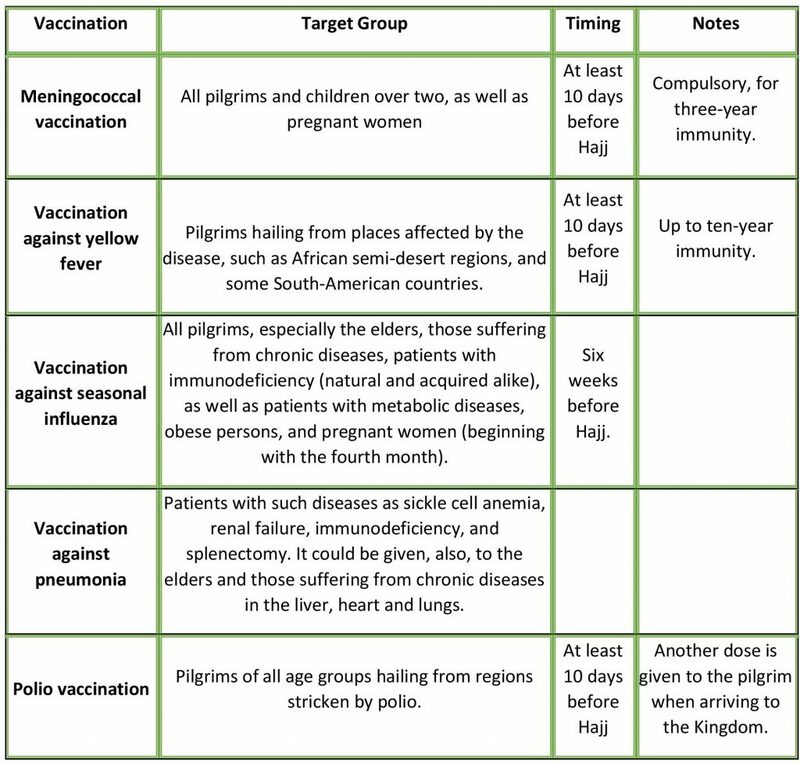 • Get the necessary vaccinations, especially the elderly and those suffering from chronic diseases. • Pack sufficient medications, especially in case you suffer from one of the diseases that require you to take medications regularly, such as heart diseases, hypertension, kidney diseases, asthma and diabetes.